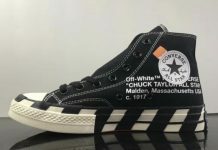 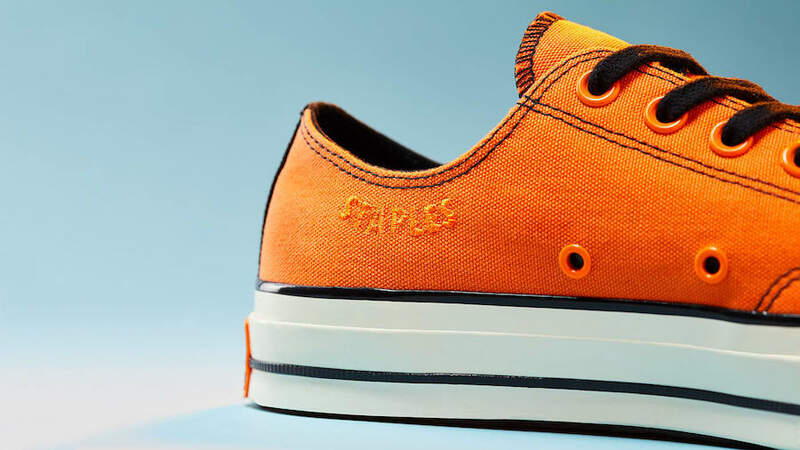 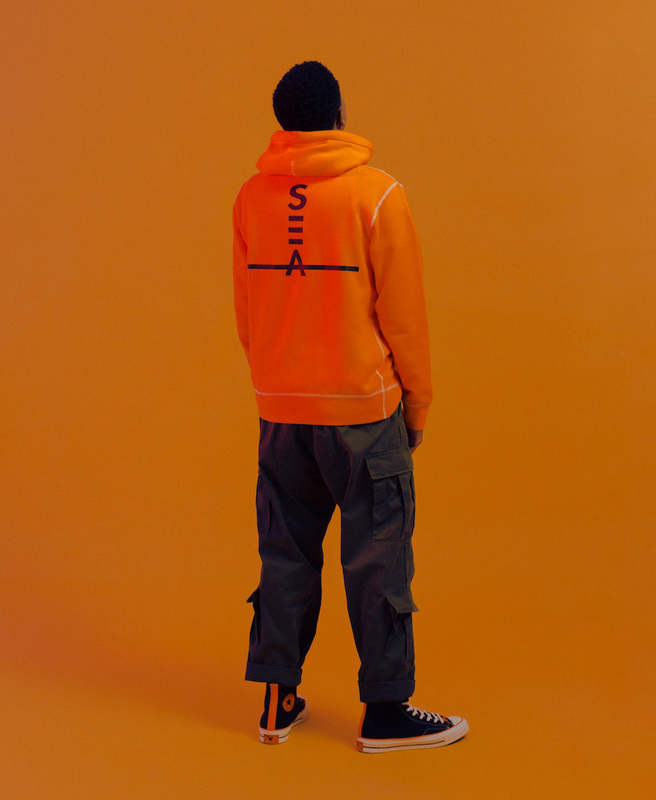 Vince Staples teams up with Converse to release a Big Fish Theory-inspired collection that consists of two pairs of Converse Chuck 70s and matching pullover hoodies. 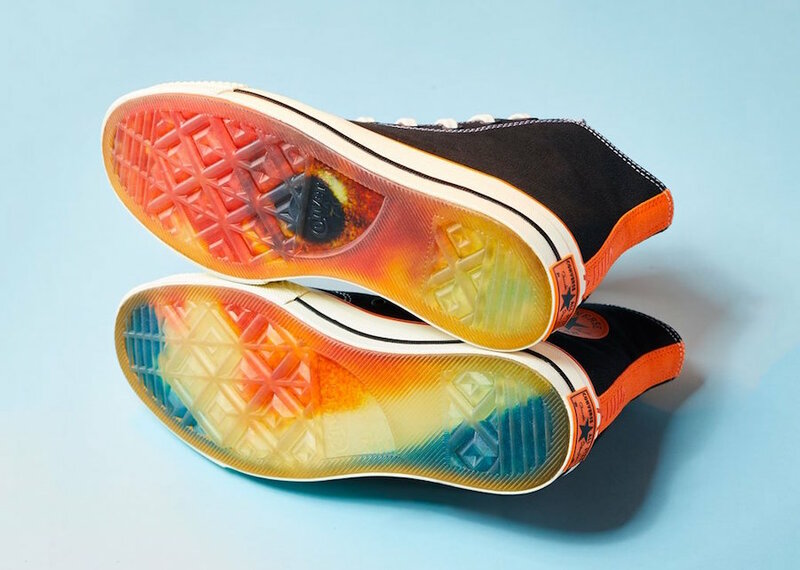 The Hi and Ox Chuck 70s feature a Big Fish Theory Graphic outsole with “Vince Staples” embroidered on the medial collars. 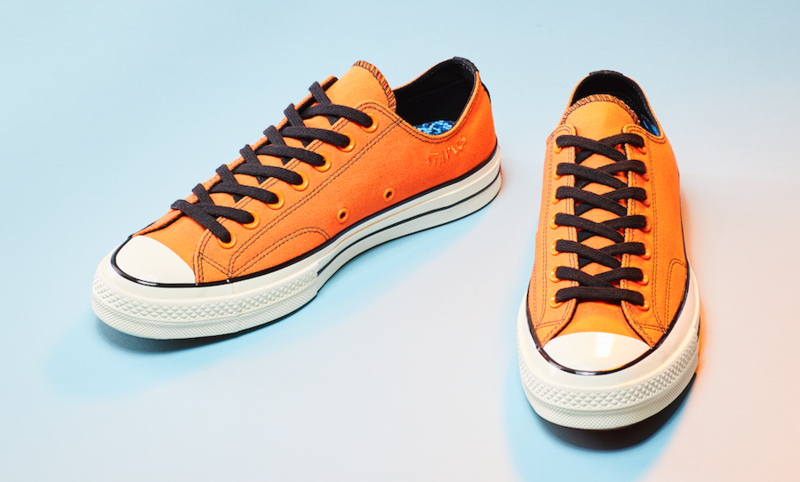 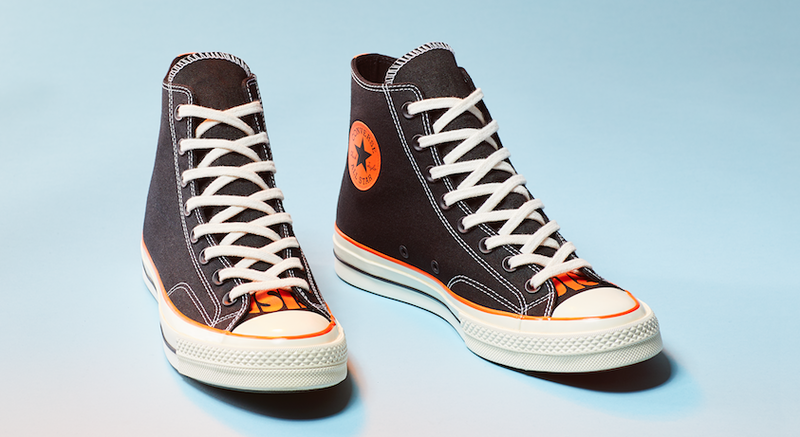 The Chuck Ox 70 is dressed in orange with black accents while the Chuck Hi 70 contrasts in design with a black upper and orange accents. 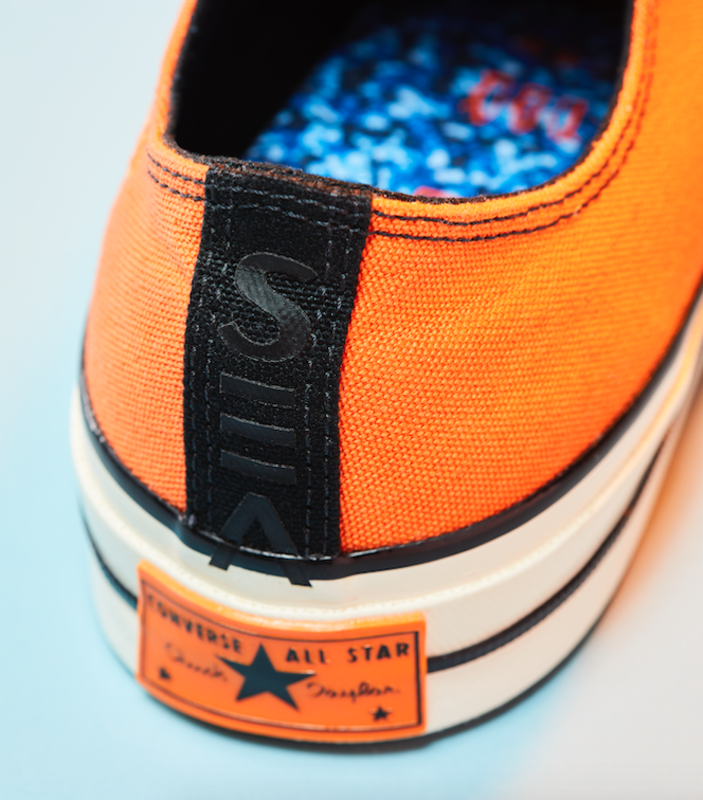 The “SEA” of the Chuck 70s is 3D printed onto the heel with the “A” placed to cross with the heel stay and transfer onto the foxing tape. 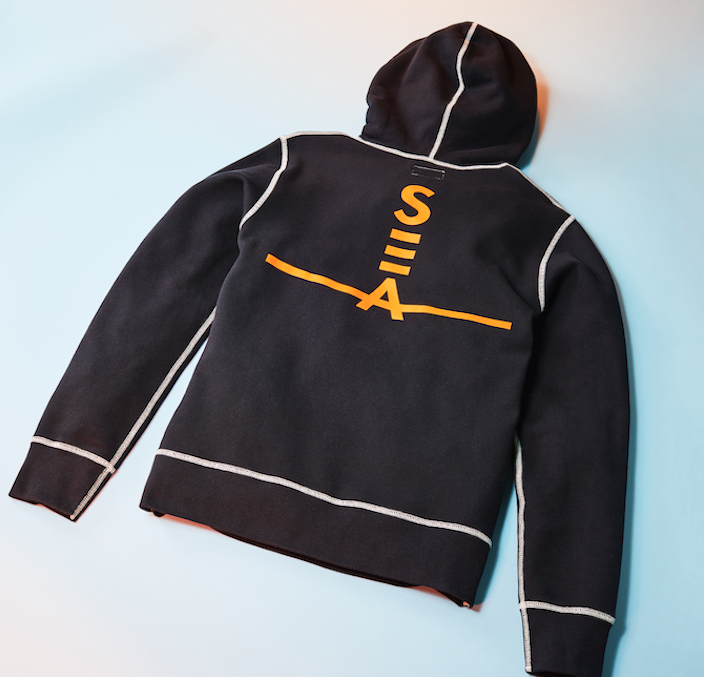 On the Essentials hoodie, the “SEA” graphic is centered on the back and can be found in similar color schemes. 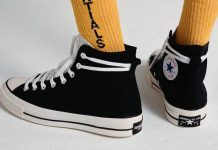 The Converse x Vince Staples Collection to release January 25th at select retailers and Converse.com with the retail price tag range of $90 to $110 USD.